Thornaby is said to have come into its existence about 800 A.D.when the land was given by Halfdene, King of the Danes, to Thormod, one of his noblemen.There are other signs of Thornaby being a much older or even prehistoric settlement.First of all, traces of prehistoric man have been found here, the earliest being a stone axe,8" long, dating back to the Mesolithic Period ( about 3000 B.C. ).In 1926 a dug out canoe said to date from about 1600 - 1400 B.C. was found in the mud under 8 feet of water opposite Thornaby High Wood. An arrow head of the Neolithic Period (about 3000 B.C. 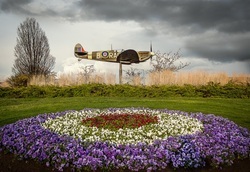 )was found in a garden on the Thornaby Village Green. 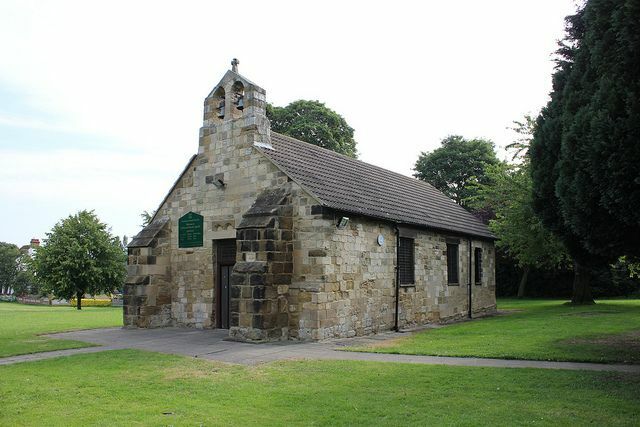 During the Battle of Hastings (1066) one of William the Conquerors noblemen, ROBERT DE BRUS 1, marched north with a garrison of men and occupied the area of Cleveland. William gave him those lands to control including Thornaby and Middlesbrough. Sweyn,the then King of Denmark was not happy with the idea of the Normans ruling over his people in the north and so , on Sept.9th 1069 he defeated the Normans at York by killing the entire garrison of 3000 men. William swore an oath to avenge Sweyn by destroying every house and dwelling in the lands under Sweyns rule, so leaving all the land in the north east of Yorkshire barren and bare. This is why in Thornaby`s first mention in the Domesday Book it states:- " Robert Malet has these lands and they are waste." It appears they stayed waste until the early 19 th. century as " Thurnaby waaste " is mentioned in a poem by Tennyson called "The Northern Farmer.". Stockton Council has secured £3.3 million of government funding towards a scheme to tackle traffic pinch points which clog up traffic flow. The funding which was announced by Patrick McLoughlin, Secretary of State for the Department for Transport, on Friday (27 September) will see Stockton Council carry out works to ease congestion on Thornaby Road. Works are expected to start on the £4.8million Thornaby Road A174/A1044 Congestion Relief Scheme in May 2014 and are planned to be complete by early 2015. The scheme will dual the A174 Parkway Extension between the A174/A1044 junction, where capacity improvements will also be made to complement the already secured Highways Agency improvements and the A19/A174 Trunk Road interchange. In addition the combined proposals will create new access to the Teesside Industrial Estate both reducing congestion and encouraging growth. Councillor Mike Smith, Stockton Council’s Cabinet Member for Regeneration and Transport, said: "Nationally Stockton was only one of 15 local authority schemes to win funding from this round which will see us tackling congestion alongside our partners, the Highways Agency. "This funding will help us deal with this pinch point, ease traffic flow and make journeys quicker and smoother for residents and visitors alike. "Improvements to infrastructure help us keep the Borough moving, which is vital to attract new businesses, encourage growth and boost job opportunities." It is said that Robert de Thormodbi, wounded in the Crusades at Acre, swore to raise a shrine to The Virgin Mary if he survived his wounds. He did, and as part of his wish,a shrine niche to the Virgin Mary ,lit by five sanctuary lamps was placed in St. Peters Church. 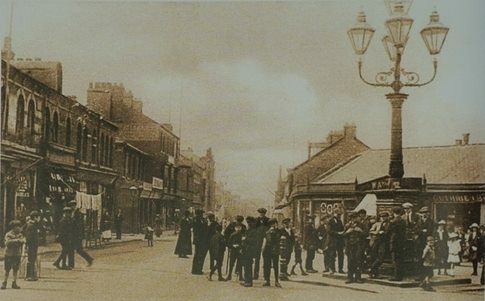 A set of lamps were erected at the junction of George Street and Mandale Road.They formed the focal point and meeting place for folk of this part of Thornaby. They were used for meetings such as prospective council and parliamentary elections.Many an M.P. has used the plinth of the lamps to start their career on the Hustings. The lamps were a great meeting area to see in the new year.Hundreds of folk would congregate around them and rejoice when the Town hall clock struck midnight.